Software Developer by Day. Pianist by Night. Danny is a passionate web developer and data analyst based in Melbourne, Australia. His language of choice is Python, but he also works in a number of other languages including R and Ruby, Web frameworks such as Django, Ruby on Rails, and ReactJS, and front-end languages including HTML, CSS, JS. Danny has worked as a web and app developer, and has experience in the fields of Natural Language Processing, Machine Learning, and AI. 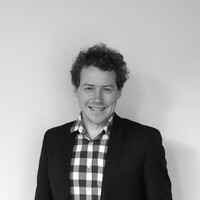 Danny has had many high profile Australian clients in both web and platform development (such as Flinders Quartet, and Aeyons) and was the developer behind the Viral Chart Algorithm, an innovative and advanced algorithm for calculating Music charts with dynamic weighting that takes into account artists viral omni-channel growth across all social media channels. Danny is also a spreadsheet and google scripts expert, his Udemy courses have amassed over 19,000 students to date. He also recently wrote a kids coding book to teach kids data science in the statistical programming language R, available on his website. Danny is always entrepreneurial, constantly learning, optimising every moment, and loves learning from others, sharing his knowledge, and empowering other developers to achieve awesomeness! In his spare time he enjoys performing around the world as a concert pianist. You can watch his latest performance for Austrian TV by youtubing "Danny Blaker Hohenems", or check out his 3 albums on his website.